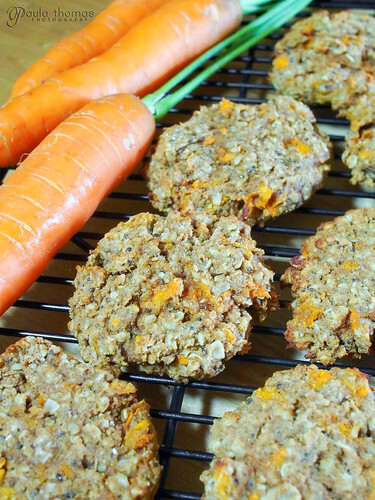 I decided to try something a little different with my oatmeal cookies this time by adding some shredded carrot to the recipe. I also did a few other things to change it up a little like adding applesauce and honey for sweetness instead of sugar and a little chia seeds are always good and healthy. Oh and this recipe is also dairy free. 1. Preheat oven to 375 (or 350 convection) degrees. 7. Bake in oven for approximately 10 minutes, until lightly browned.